The Lockheed Martin Sikorsky Colloquium Series began in 2011. 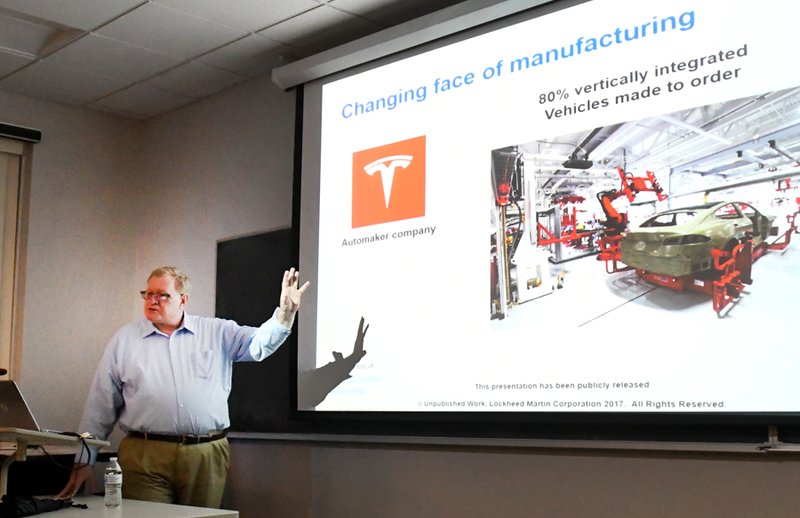 Each semester, the department hosts a Lockheed Martin Sikorsky technology leader to present on a variety of topics. The series is co-sponsored by the American Helicopter Society International. William C. Harris Jr., Lockheed Martin Fellow Rotary & Missions Systems Sikorsky Aircraft Corporation, presents "The Future of Manufacturing and the Engineers Needed to Create it"
TO MAKE THEM FLY, THERE’S MORE THAN MEETS THE EYE!